The Department of Defense (DoD) has nominated Essye Miller as its new chief information security officer, filling a position that was vacated late last month. “Ms. Essye Miller has been nominated as the Department of Defense Deputy Chief Information Officer for Cybersecurity and Chief Information Security Officer, pending internal coordination. In the interim, Ms. Marianne Bailey, Principal Director to the DCIO CS, is acting in this role,” a DoD press representative told MeriTalk. Richard Hale, who previously held the position, retired on Nov. 26. 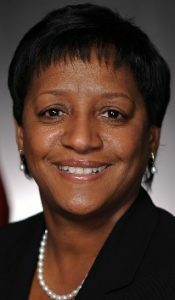 Miller formerly served as the director of the Headquarters Air Force Information Management in the Office of the Administrative Assistant to the Secretary of the Air Force.